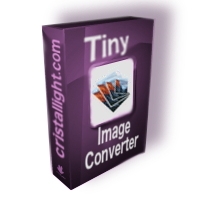 Cristallight Software - Mac WMF Image Converter Pro. View and convert wmf and emf on mac. WMF Converter Pro - work with WMF and EMF images on Mac easily. WMF Converter Pro is WMF image viewer and converter application on Mac. It allows you to import single, or multiple WMF (Windows Metafile), and EMF (Enhanced Metafile) images on your mac, render, preview, convert, and save either all, or just selected wmfs/emfs as mac native images in one of 8 image formats, including vector formats (PDF, EPS) and the raster ones, such as TIFF, JPEG, PNG, BMP, JPEG-2000, Mac ICNs and more. WMF Converter Pro is capable of changing image colors, and destination image resolution when saving as raster images. On Windows, many graphics and forms are stored and exchanged as Windows Metafiles, or Enhanced Metafiles (WMF or EMF*). On Mac, you are not able to preview and convert WMF or EMF files without using Microsoft applications such as Word or PowerPoint. Or, alternatively, use WMF Converter Pro from Cristallight to accomplish this task. So, if you wish to use WMF or EMF images on Mac - this is the right choice for you. The product interface is easy and intuitive. It allows you to accomplish WMF/EMF files conversion in just a couple of steps. To convert a wmf and emf on mac, choose one of the export formats and select Convert option or press button. The export resolution can be changed under mac WMF Converter export options. You may set also the default destination format, and the default location for the converted files. To batch convert images only click "save all" button. Windows Metafile (WMF) format images are graphical files that can contain both vector and bitmap-based picture information. Microsoft Windows contains routines for displaying WMF files. WMF is a 16-bit format introduced in Windows 3.0; a newer 32-bit version with additional commands is called Enhanced Metafile (EMF). EMF is also used as a graphics language for printer drivers. There are also compressed versions of Windows Metafiles known as Compressed Windows Metafile (WMZ) & Compressed Windows Enhanced Metafile (EMZ). 16 MB of hard disk drive space. If you need the oldest version with MacOS 10.4 support, visit Mac WMF Viewer web page.